I was lucky enough to take part in the BUPA Great Manchester Run on the 20th May, and also raised a small sum for my chosen charity Diabetes UK at the same time (Hey, you know we're still accepting donations?)! 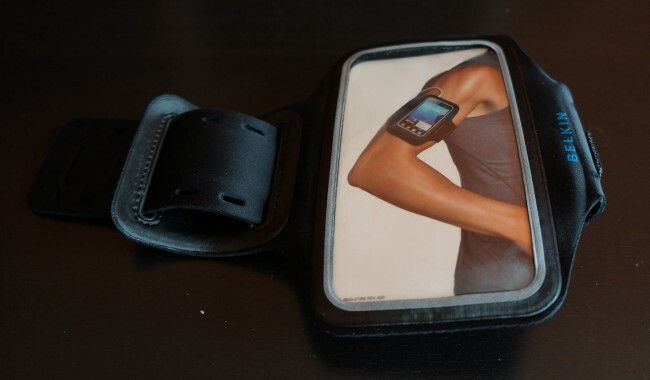 It was also the perfect opportunity to test drive an armband case for my Samsung Galaxy SII. There are a few options out there, but I went for the Belkin DualFit Armband case as Belkin is a name I think I can trust. The case comes in some pretty standard packaging, but better than what youâ€™d get with a no name brand you might purchase from eBay (and believe me, there are lots of these selling SGSII compatible armband cases!). All in all itâ€™s just what youâ€™d expect from Belkin. The back of the packaging makes clear that this case was made specifically for the Galaxy SII, which is great to know as once again, those lesser known brands tend to make these cases to a certain size and list all phones close to those dimensions as compatible. As this was made only for the SII, it should be a better fit than most. The back also has some strange text, the number 1 followed by the words â€œScreen protectionâ€. It doesnâ€™t seem to fit with anything at all, although I assume it means that it covers the screen. But very strange..
Belkin let you know that this case was designed specifically for the SGSII, its plastered all over the casing, so youâ€™d expect that the phone should slip in very nicely.... and youâ€™d be right! But perhaps, a bit too snug. It's extremely simple to slide the phone in, however removing it is an entirely different story..! Due to the plastic screen cover used by the case, it can be quite hard to remove the phone as this plastic screen sticks to the screen of the phone and creates quite a bit of resistance, and this is especially noticeable after your run where the heat from your body can cause it to get warm inside (only slightly however). However, there is a knack to it, the flexibility of the case allows you to pretty much manipulate it however you wish. Actually pushing the phone out from the bottom of the case was much, much easier than attempting to pull it out from the top. Better, but not totally simple. I personally found that it was easier to both insert and remove while the Galaxy SII Mesh Case was attached to the phone at the same time, as this offer some margin between the plastic cover and hte phones screen. 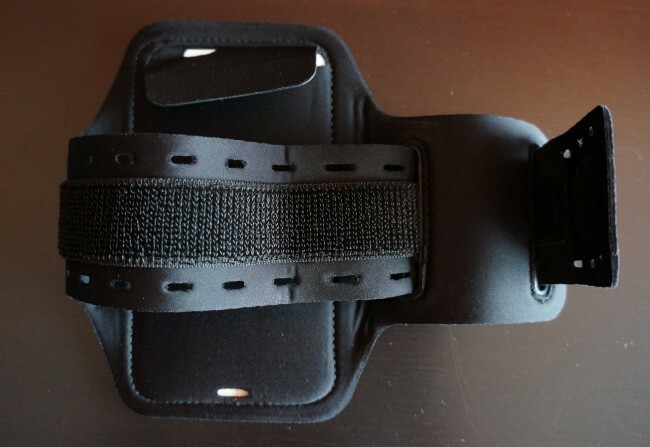 The case has an adjustable velcro strap to attach it to your arm. The strap is probably of higher quality than you might find on similar cases, which is important as its one of the most important pieces to a good armstrap case, if this fails the case is rendered useless. Fortunately, the Belkin strap looks like it will last, and is extremely simple to use. I have a fairly big arm, while my girlfriend has a very small arm, and this case fitted both of us fine. The case is made mainly of neoprene, â€œtough yet lightâ€ it tells us, and that's actually a pretty accurate description of the material on this case. It is very lightweight, in fact it's hardly noticeable when wearing it, and it also looks like it can take some battering too. The case is also splash proof for use in light rain. Iâ€™m not sure how light the rain has to be, but I wouldnâ€™t realy risk taking this out with you on a run if its raining at all. It may be splash proof, but it doesnâ€™t look entirely rain proof to me.. Youâ€™d be hard pressed to find a rain proof case of this type in all honestly. The case is machine washable which is a great idea, as depending on how fast you run (or how fit you are! ), the case could end up smelling somewhat..! One of the other great features of this case is that it has a reflective strip the whole way around it. Absolutely fantastic for runners in low light, and full credit to Belkin for adding this to the case. I ran with my SGSII in this case, strapped to my arm to 10k in the Great Manchester Run and didnâ€™t feel any discomfort whatsoever. So from that point of view the case did its job. I would like liked it to be slightly easier to actually remove the phone from the case after use, but can look on that as an advantage too, the phone certainly wonâ€™t come flying out of the case mid-run! There are some great extra features such as the reflective strip that really add to the value of the case, and help me to recommend the case for all you runners out there! Big thanks toÂ the guys over at MobileFun for providing this case, and to all those that donated (or are about to donate! :P) to our cause! Be sure to add us to your RSS feed for more reviews ofÂ Samsung accessories!